There was a day when “bike clothes” meant neons, spandex and performance fabrics – but in the last few years there’s been a huge shift of companies looking to expand that definition to include stylish clothes for everyday cyclists who want to look good without compromising performance. 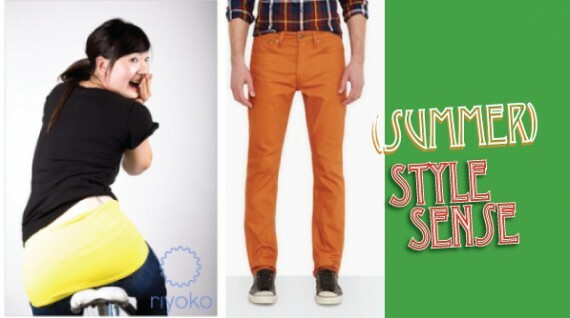 Summer is the time for bright colored t-shirts, flowing skirts, shorts and maybe a light jacket tucked into your satchel. 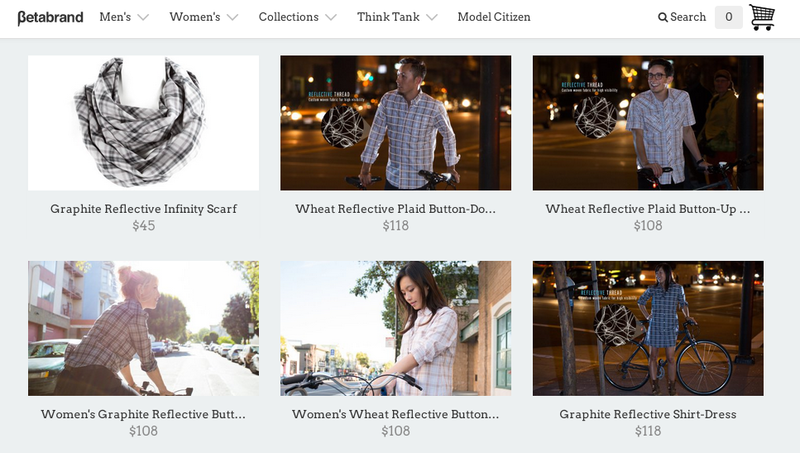 Here’s a peak at the latest offerings for when you’re tooling around town or biking to work. Every summer I run into the same problem – how can I carry just the basics (wallet, cell phone, and keys) when I’m headed out on a ride? I have tons of pockets to stash stuff in my winter outerwear, but when I shed the layers for summer, I’ve started carrying a hip pouch. There are some fantastic Oregon-made options to choose from – and each of these companies make backpacks and panniers, too. From left to right, Black Star Bags, North Street Bags, Queen Bee Creations. Black Star Bags makes some awesome Cordura hip pouches with a removable belt and little front pocket to keep you organized. North Street Bags‘ Roll-Top Hip Pouch has an internal divider pocket, reflective accents, and a strap for carrying a mini u-lock, too. These adorable hip pouches and purses from Queen Bee Creations come with a variety of designs appliquéd on the front, from nature-inspired leaves to a cute bicycle design. San Francisco-based Betabrand have really expanded up their Bike to Work collection, expanding it from their popular Bike to Work Pants to include blazers and skirts with bike-friendly features and reflective accents. They’ve also got a fantastic collection of plaid shirts, dresses, and infinity scarves, all woven with reflective accents. 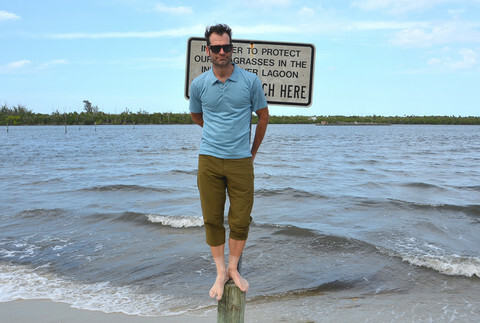 Portland-based Nau has released a whole slew of summery cycling fashions for men and women, including tailored pants with a bit of stretch, tailored soft shell jackets, and merino-Tencel blend tops designed to wick sweat and keep you looking good while you stay cool. For women, Nau has attempted to create that elusive cycling skirt that also works in the office. The Lapiz pencil skirt is cut above the knees and made with stretchy material to make it easy to ride. Hot Tip: if you love Nau’s style and performance as much as we do, be on the look out for their annual Warehouse Sale when prices are absolutely slashed. 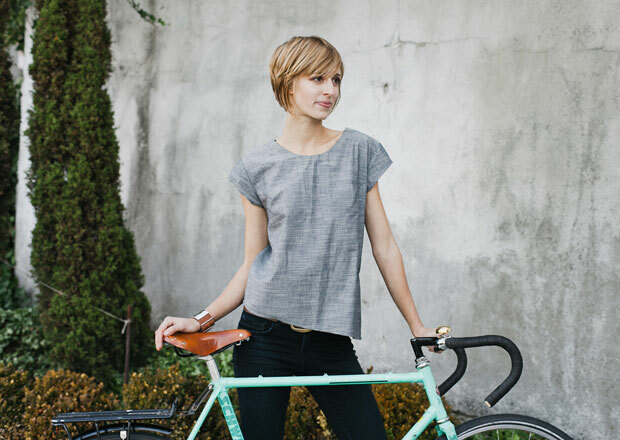 Swrve pants and knickers have been a favorite for casual cyclists for a while. 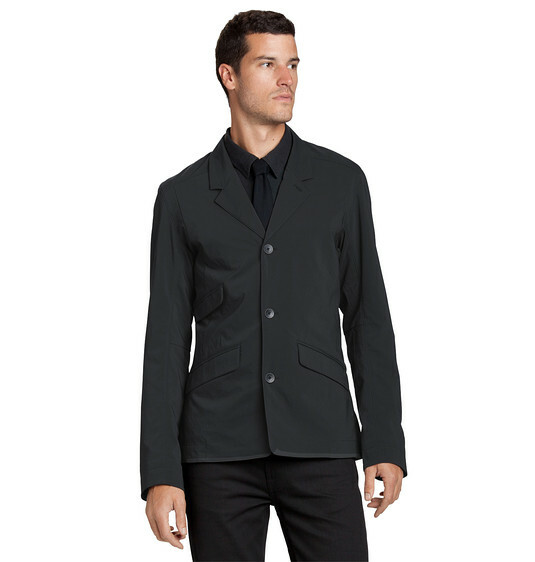 They occasionally release a women’s style, but for the most part they’re aimed at guys. (Though I have several girlfriends who wear Swrve religiously.) For warm weather, grab a pair of Swrve cycling knickers in a fun summer shade. The Levi’s Commuter collection has been around for a few seasons now, and summer sees them bringing in some bright colors to their denim commuter pants. They’ve also got a chambray shirt and several denim trucker jackets with reflective accents. One day, perhaps, they’ll wise up to the fact that ladies also ride bikes, but for now they only make bike clothing options for men. Riyoko’s colorful collections of knit, bike-centric clothing are fun and fresh, and great for summer. They’ve become known for their bright lace tights (which come in a 3/4 length for summer), and they also sell an ingenious “Shirt Band”, which solves that problem of low-riding pants and high-riding shirts. No more lower-back sunburn! Seattle-based Iva Jean has been slowly-but-surely expanding their collection of clothing for the stylish woman. 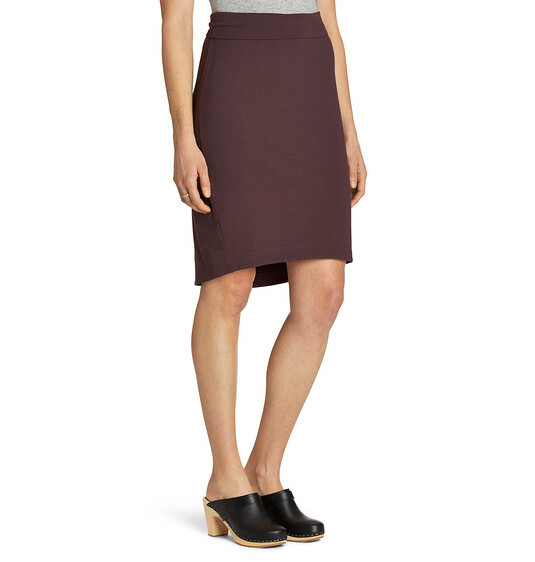 The Daily Blouse and Reveal Skirt feature details like back pleats and invisible zippers to make them bike-friendly. Known for their fashion-forward reflectivewear, Vespertine has recently introduced a collection of riding dresses and blazers with 3M Scotchlite Reflective thread woven into them. The result is a discreet plaid pattern that would look cute in the office, and really lights up when headlights hit after dark. 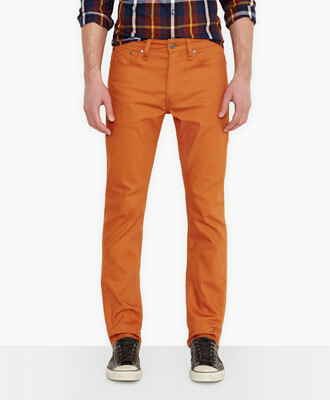 What are you wearing this summer? Tell us in the comments. I am so glad we no longer wear so much ugly biking clothes. I am one of the guilty ones who used to. But I have been reborn. 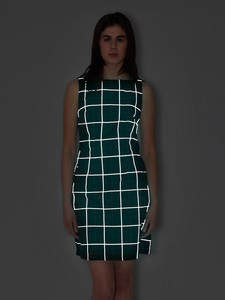 Wow – that reflective dress is something else. Er, not sure you’ll ever find me wearing that. But relfective is a good idea.